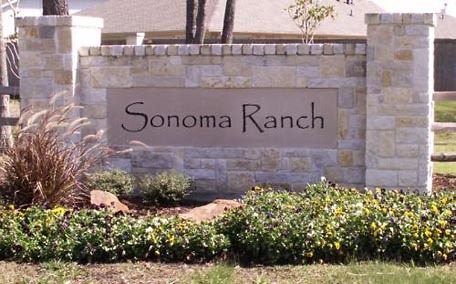 The Sonoma Ranch Community was hit hard financially as a result of the mortgage foreclosure crisis in recent years. With no assessment increase for several years, a significant (50%) increase was necessary in 2010 – and budget items still had to be cut in order to begin the financial recovery process for the Association. Unfortunately, the contract security program was one item that was part of those budget cuts. However, the residents of Sonoma Ranch were not willing to sit on the sidelines and watch their neighborhood become a crime statistic due to the downward economic trends. A Crime Watch Committee was born and with the hard work and dedication of a core group of involved volunteer residents, it has continued to grow. There have been several crime awareness events to increase resident involvement, with moonwalks, refreshments, speakers and literature from the law enforcement community and other fun activities to teach residents about how they can prevent crime in Sonoma Ranch. The community hopes to expand the program eventually to include surrounding Associations. A Commercial lot at the front of the community was recently sold, and plans to build a Stripes convenience store/gas station were announced. Residents formed a committee and attended a meeting with the parties involved with the planning and construction of the business in order to address their concerns. As a result, several aesthetic changes were made to the original site plan as well as negotiation for a sidewalk they hope to get installed from the nearby school to the community entrance. Stripes has even agreed to pay for the construction and installation of a second Sonoma Ranch monument at the Wallisville/Hidden Park entrance. Sonoma Ranch residents have overcome a lot of issues, making some major strides to recover financially and come back even stronger through their struggles. The Developer turned over control this year to a 5 member resident controlled Board of Directors, unified to continue the positive growth of Sonoma Ranch and the betterment of the entire community.